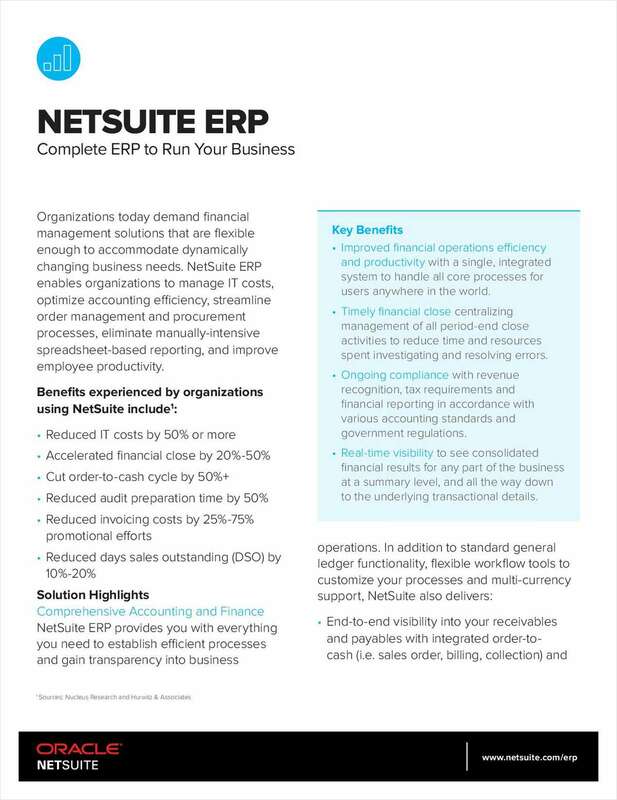 "Complete ERP to Run Your Business"
Free Brief: "Complete ERP to Run Your Business"
Learn the benefits of NetSuite ERP. Select one the next 6 months 6-12 months 12 months plus No timeframe. We are just educating ourselves at this time.